There’s a new girl in school and Charlie Brown is determined to impress her. He no longer wants to be viewed as a loser - he wants a chance to win. However, as was ever the case, and despite the best efforts of Charlie’s best pooch pal, Snoopy, things do not go to plan. I saw The Peanuts Movie on Christmas Eve - apologies for the late review. However, my point is that if I had to pick a day of the year when I am most willing to suspend disbelief and go with a movie Christmas Eve is it. I go into a movie on Christmas Eve just wanting to love it - no matter what. And I have been more than rewarded over the past few years. For example, I have watched Frozen and Paddington and have just loved the experience of becoming a big kid again at Christmas. So back to The Peanuts Movie. I have long enjoyed the stories of Charlie Brown and the Peanuts gang. So I really wanted to like this new movie. 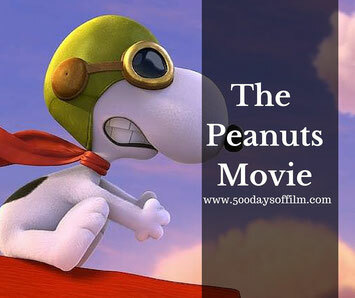 Unfortunately, while it looked good and was pretty sweet, I did not enjoy The Peanuts Movie. I just didn’t engage with the film and found my mind wandering onto other things. I also didn’t find Charlie Brown’s antics particularly funny - nor did I enjoy Snoopy’s adventures with the Red Barron. I feel bad about criticising such an iconic character and a family friendly film to boot but I have seen so many wonderful animated movies recently and I now hold this genre to a extremely high standard. Sorry Charlie Brown… you just didn’t win me over this time. What did you think? Do let me know by leaving a comment in the box below!